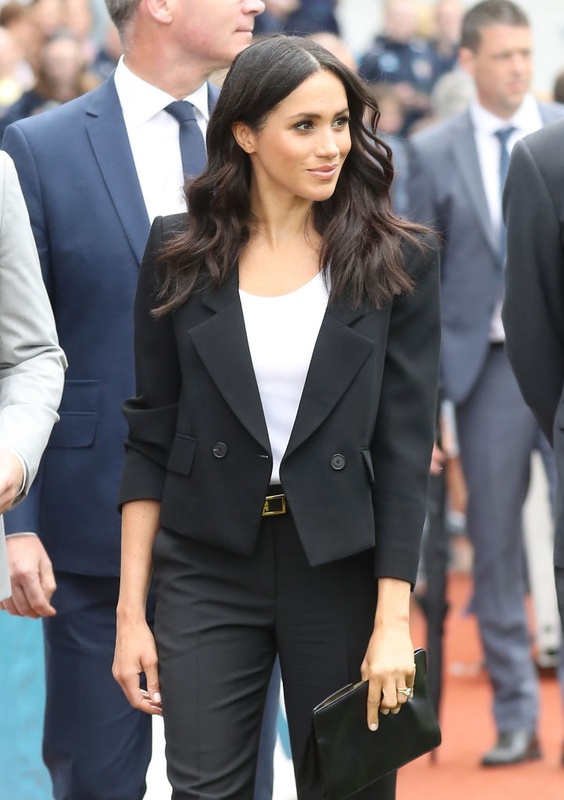 Rachel Zane nailed office chic and her tailored looks still inspire our workwear wardrobes. 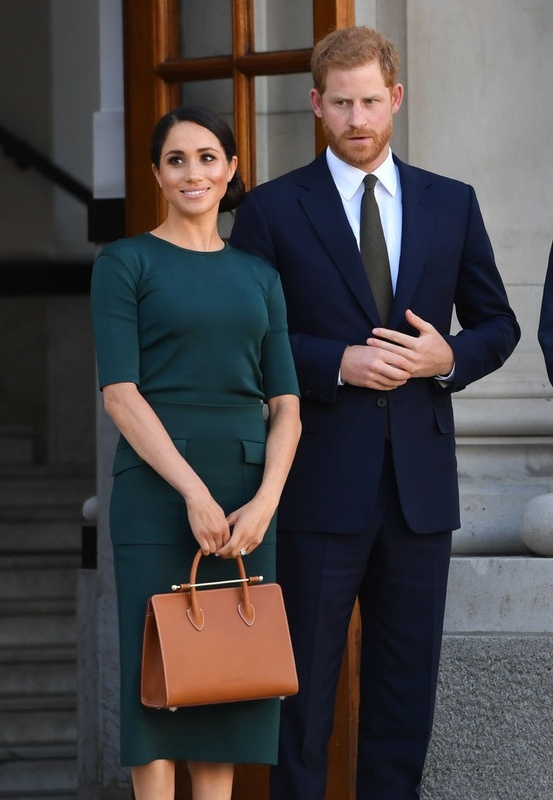 What's not to love about this green dress and leather tote? A great workwear choice as we step into spring. 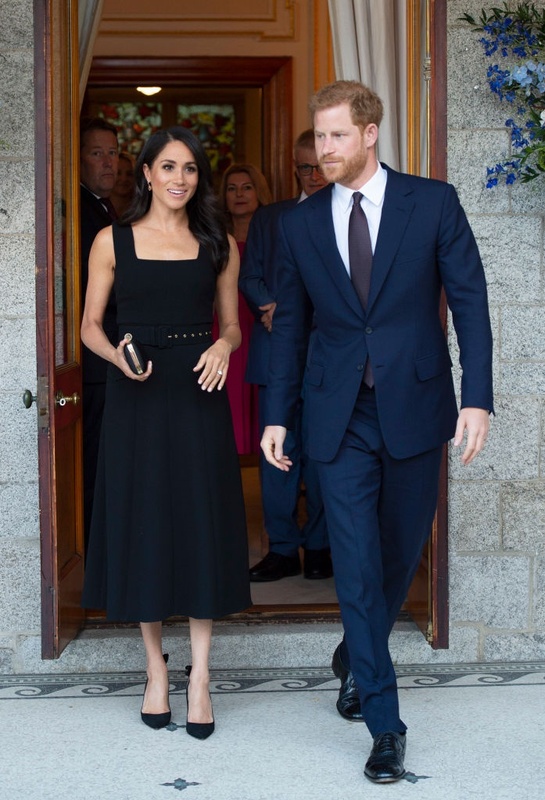 Meghan on a trip to Dublin, Ireland.